So because of my husband getting a new job he's had an unexpected 2 weeks off of work. So we've been doing a lot of unexpected trips and things. So some of my post have had to be scheduled. Right now I should be in Las Vegas enjoying a couple days of relaxation with no kids. 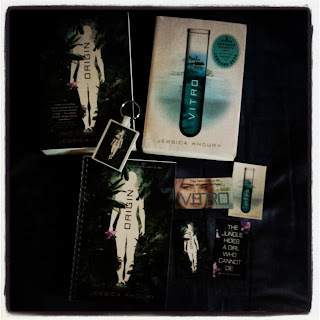 Last night (Saturday) is the big Chicago Veronica Roth book signing. I've seen her a few times already but being a part of the excitement of the release of her third book made it worth going. Plus she's a Chicago native how can I not support. I'm all about local authors. I will do a post about the event when I get back with all the details. Lucky number 14 out of 1000. This isn't a book but my friend makes these awesome Poison Apple charms. Can you say fairytale magic. The skull part glows in the dark. 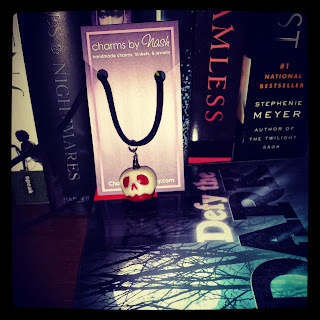 I know I won't be able to get it out until after Halloween but I'm going to do a giveaway for one as soon as I match it with a book that I have. Hopefully I have one that works! 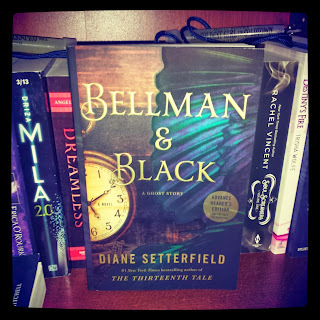 I also got a copy of Bellman & Black by Diane Setterfield from the publisher. I was actually really mad because since it didn't fit in my mailbox the mail person put it on the outside of my mailbox! My mailbox is at the curb. I know that it's 30 degrees out but usually they put the packages by my door. I'm hoping it was a fill in mail person. Last week I was moping around like I hadn't gotten any books. Which was so untrue. 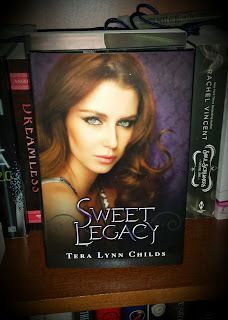 I got some awesome eArcs a week or so ago from Netgalley. Yay! Oooh, lovely haul! I especially love the necklace and the Diane Setterfield book- my book club just met yesterday to discuss her book The Thirteenth Tale. I'm reading Allegiant right now, so it's very cool that you get to see Roth in Chicago! Netgalley is addictive. The necklace is really cute. I really enjoyed Waterfell a lot. Great haul of books. Come visit me as well. Enjoy your time in Vegas, as it sounds lovely! I've always enjoyed Vegas and it's been much too long since we've visited, so maybe we'll make it back some day. Enjoy all of your books!